Zombies are regularly encountered in horror- and fantasy-themed fiction, films, video games and role-playing games. They are typically depicted as mindless, shambling, decaying corpses with a hunger for human flesh, most famously in Night of the Living Dead. However, some films (such as 28 Days Later) feature living but otherwise zombie-like humans, usually as the result of disease. In fiction zombies can generally be disabled by either dismemberment or the destruction of the brain. In a few cases the entire body of the zombie must be destroyed as individual limbs or even fingers continue to move after being severed from the body. The Resident Evil series of video games makes particular use of zombies. Night of the Living Dead (1968) is a seminal horror film directed by George A. Romero which was to transfigure the horror-movie genre. 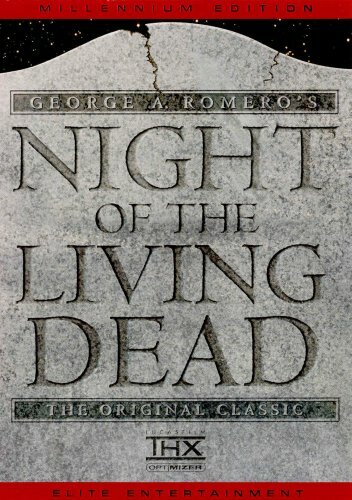 The plot is simple and familiar to viewers even casually acquainted with the genre: the dead come to life after a mysterious plague that is sweeping through the United States and start attacking the living in order to feed upon their flesh. It was filmed in Evans City, Pennsylvania.